2 Problems – Same Solution? Last month I was consumed with embroidering on deep pile Christmas Stockings. As with any textured surface, Terrycloth, Velvet, Fleece, Fur, you name it, the plush “fur” of the Stocking presented some Digitizing and Embroidery challenges. 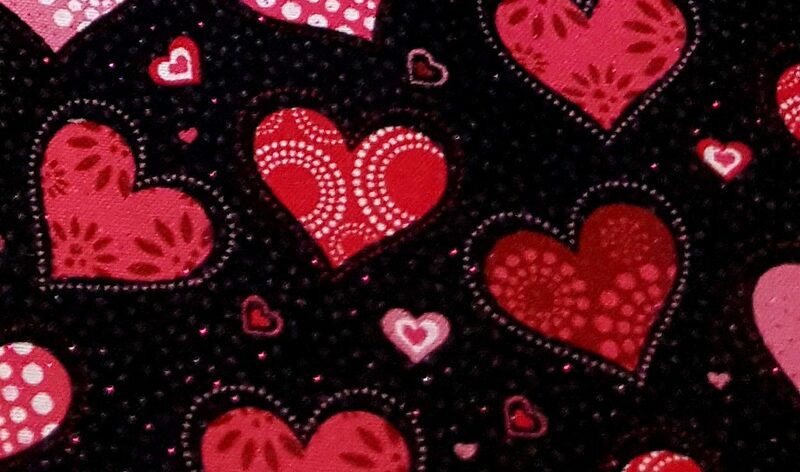 I started my New Year with a Sewing Room clean out and came across my stash of Valentine’s Day fabric. Guess what. Christmas is over. It is already past time to be thinking about the next Holiday! It’s less than 6 weeks away. 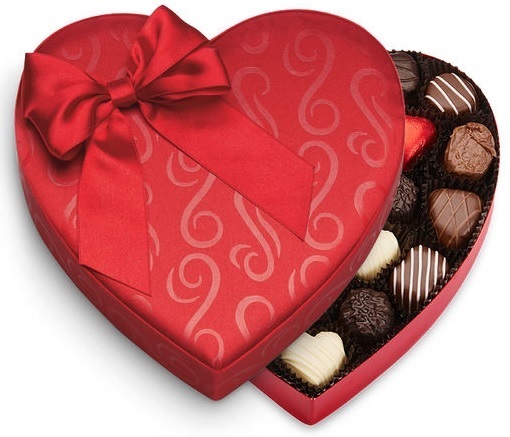 The stores are probably already half sold out of all their Valentine’s Day merchandise. It’ll probably all be on Clearance by next week! 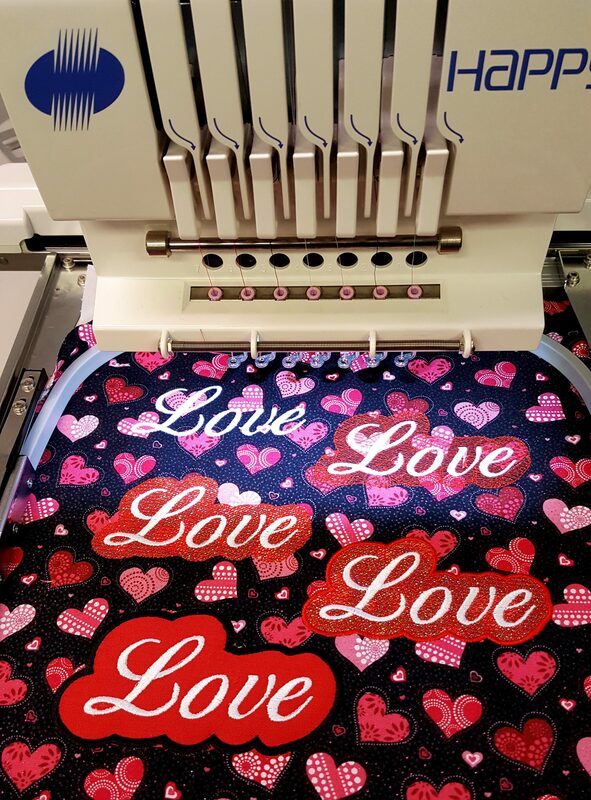 As I was admiring one of my favorite pieces of Valentine’s fabric, I realized that embroidering on it presents some real challenges in the Digitizing and the Embroidery itself. As you can see, this is one “busy” print! And its not just the print, it has sparkle bits on it too. I really have to think about anything I embroider on this fabric because it can just get “eat up” by all those hearts and sparkly dots. The wrong embroidery design can simply disappear into that background. As I was forming my plan of attack, I realized I had already been there, done that, got the T-shirt! The Challenge and the Solution for this background print is exactly the same as the Challenge and the Solution for those Christmas Stockings!